Poitiers, February 12, 2019 – The Futuroscope theme park kicked off its 2019 season with a grand re-opening ceremony. Its theme? Focusing on green energy even more. Recycling of waste, selling local products, using solar panels… These are only some of the steps that the park has taken to decrease its environmental footprint. 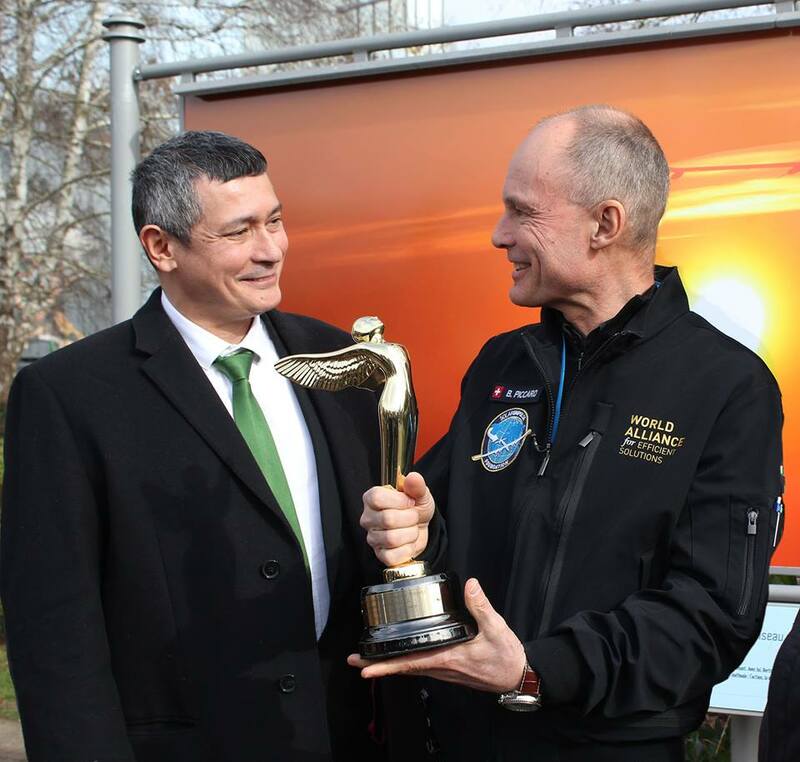 The Futuroscope team also chose to highlight Bertrand Piccard and André Borschberg’s spectacular achievement. Their electrical plane, “Solar Impulse”, crossed the world in 2015 and 2016 without consuming a single drop of fuel. The two pilots’ odyssey was documented in Planet Power, a multiple award-winning 3D Giant Screen documentary, directed by Pascal Vuong and Ronan Chapalain and distributed by nWave Pictures Distribution. From its conception to its construction, “Solar Impulse” is a technical wonder, one that wouldn’t be a possibility if it weren’t for the inventors that paved its way. That’s why Planet Power explores the history of electricity – from the first spark created by man’s hand to today’s industrial power plans. We meet scientists who changed the world, like Faraday, Franklin, and Tesla. With a mix of chalk animation, CGI, archival footage and spectacular aerials, the film also explores the challenges ahead: how to meet the growing energy needs of our industrialized world, while also protecting the health of our planet. Both Bertrand Piccard and André Piccard were present at the documentary’s launch. Bertrand Piccard, Futuroscope Park, 2019. Renowned photographer Francis Demange also presented an exhibition titled “The sea bird and the sun bird” (L’oiseau des mers et l’oiseau solaire). The collection of pictures, combined with writings by Hervé Bonnot, tells the story of Bertrand Piccard’s “Solar Impulse” and Alain Thébault trimaran, l’ “Hydrofoil” (“Hydroptère”). These two wondrous flying machines, one fueled by the sun, the other by the wind and its aquatic wings, crossed paths for the first time in Hawaï in july of 2015. 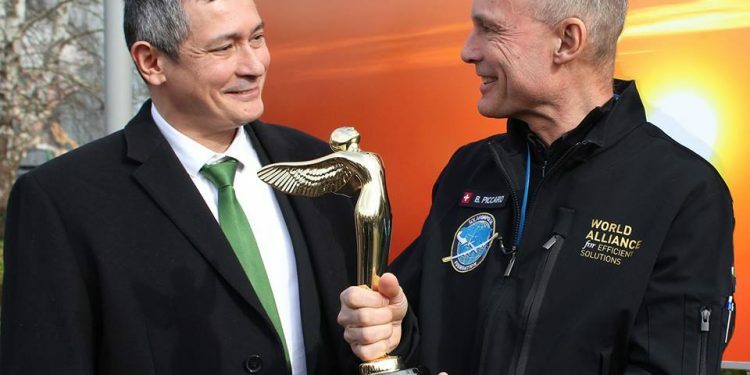 Both of them prove that one really can cross the world thanks to renewable energies.